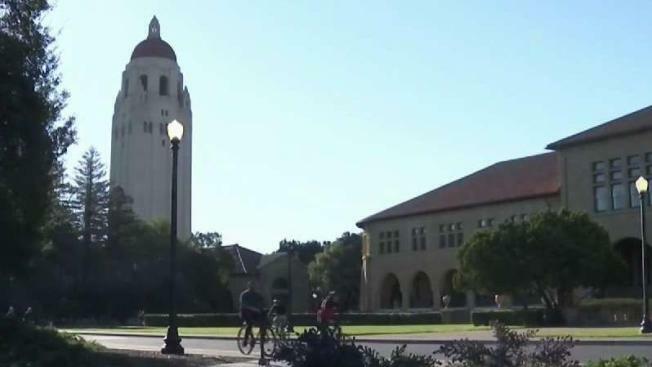 Two Stanford students have sued schools in a class-action lawsuit over a college admissions bribery scandal that involved wealthy parents and some elite universities. Bob Redell reports. Upset parents and students have started suing schools and those involved in the nationwide college admissions bribery scandal. Two Stanford students on Thursday filed what they hope to be a class-action lawsuit against the private university and other elite universities, claiming that their degree doesn't "worth as much as" before. In addition, Bay Area parent Jennifer Kay Toy is asking for $500 billion in damages from the wealthy parents who paid their children's ways into colleges that rejected her son with a 4.2 GPA. The plaintiffs say the cheating plot denied them a fair shot to apply at the schools. The University of Southern California, Yale, UCLA and Georgetown are among the schools named in the first lawsuit. The accused plot mastermind, William Singer, who created Key Worldwide Foundation as a charity in 2013, also is named in the suit. Toy only named the parents in her suit. The bribery scheme allowed "unqualified students" to find their way into the universities, "while those students who played by the rules and did not have college-bribing" were not treated fairly, according to the lawsuit. The Stanford plaintiffs, students Erica Olsen and Kalea Woods, allege the schools were negligent in "failing to maintain adequate protocols and security measures" to guarantee a fair admissions process. They claim they were denied a fair opportunity to be admitted to the colleges. They argue their degrees from Stanford are devalued because of the charges filed earlier this week by federal investigators. "We believe the lawsuit filed by the students against Stanford is without merit. We take the issues raised through the events of this week very seriously. While we continue to closely examine our policies and processes to see if improvements should be made, we stand behind the integrity of our admissions process." The student's attorney, David Cialkowski, said in a statement, "It’s a straightforward claim and a simple remedy. The students want their money back. They request that anyone who paid an application fee to any of the eight named universities but was denied admission gets their application fee returned. In the second lawsuit, former Oakland Unified School District teacher Kay Toy said her son Joshua believed that "he'd had a fair chance just like all other applicants but did not make the cut for some undisclosed reason." "I'm now outraged and hurt because I feel like that my son, my only child, was denied access to a college not because he failed to work and study hard enough but because wealthy individuals felt that it was ok to lie, cheat, steal and bribe their children's way into a good college," she said in the suit filed Wednesday in San Francisco. The schools themselves are not part of the federal charges. The colleges named have cast themselves as victims of the scheme, and have moved to distance themselves from the coaches accused of involvement. "We understand that the government believes that illegal activity was carried out by individuals who went to great lengths to conceal their actions from the university," USC officials said in a statement earlier this week. Singer, of Newport Beach, pleaded guilty to fraud and conspiracy charges in federal court Tuesday in Boston. Coaches and dozens of parents are among the 50 people charged in the scheme, including actresses Felicity Huffman and Lori Loughlin and high-achieving figures in such fields as law, finance and fashion. Singer's agency registered as a charity allegedly funneled money from the parents to bribe coaches and others to get their children enrolled.